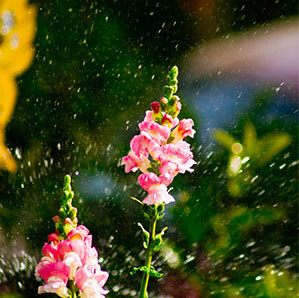 Five Star Irrigation arrives to every job with all supplies needed for any of your lawn sprinkler repair needs. We pride ourselves on our prompt service and expertise. 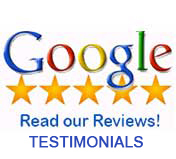 With over 30 years in the business, there is no repair that we can’t handle! 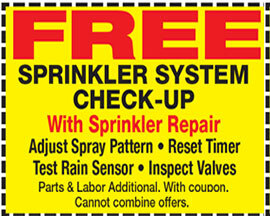 We can replace or repair any part to your sprinkler system. From your basic valve or nozzle repair, to in ground pipe breaks all the way to redesigning entire systems, we are your irrigation experts! However, Five Star Irrigation believes that no matter how expensive your system may have been, the overall design of your home lawn sprinkler system is truly what matters. Even with these name brand parts, there is always a technique to the design of your sprinkler system. At Five star irrigation, we offer yearly check-ups that allows us to follow up with routine maintenance of valves and nozzles. We also get the opportunity to evaluate growing landscape to redirect spray patterns or add extensions to heads that aren’t reaching over the shrubs! Cape Coral, FL uses reclaim water for irrigation systems. Although this is good to know that our irrigation water is not coming from our potable water supply, but reclaim water contains debris and even snails that get jammed into valves and cause malfunctions in your sprinkler system. Five Star Irrigation can not only repair any jammed valve, but we can also install a filter to help this from being a frequent expense. Five Star Irrigation can also repair rain sensors. A rain sensor is required by the city of Cape Coral, it is a nice accessory to help avoid using your irrigation system when you don’t need to! The less you use it is less wear and tear. The reclaim cost a fee of $9:50 per month that is collected by the city. A rain sensor is nothing more than a device that measures rainfall signaling to your system not to water due to rain. This allows for conservation of water and your lawn sprinkler system parts. Have you ever seen a sprinkler system on in the pouring rain? Chances are that this homeowner doesn’t own a rain sensor.